Justin Trudeau’s condemnation of the attack on a gay club in Florida ignores the killer being a devout Muslim. Canadian Prime Minister Justin Trudeau issued an official statement condemning the “mass shooting” in Orlando, but avoided mentioning the fact that the terrorist was a devout Muslim who apparently has ties to terrorist organizations. 29-year-old Omar Mateen, an American citizen whose parents are from Afghanistan, wielded an assault-type rifle and a handgun as he opened fire inside a crowded gay nightclub, killing 50 and wounding 53 others. In condemnations of terrorist attacks by Islamic organizations, the Canadian government is careful to avoid mentioning the Islamic background of the perpetrators. 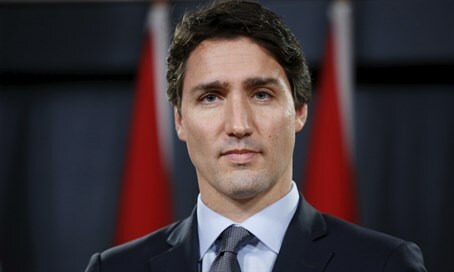 In an interview with a Canadian Islamic newspaper, Trudeau explained that as a lesson from the events of September 11, there should be distinguishing between “Muslims” and “terrorism” every time a terrorist attack occurs. Trudeau also said that Islam is compatible with Western secular democracy. US President Barack Obama has similarly refused to acknowledge the role of radical Islam in the attack, as with previous jihadist attacks, condemning it only as an "act of terror and hate."